Thinking about letting your property but don’t know which estate agents to go with? Not to worry you have come to the correct website. In Britain, letting is a very popular way of getting a return from your property. It doesn’t matter whether you have a large property portfolio or you are a first time landlord with a single property. 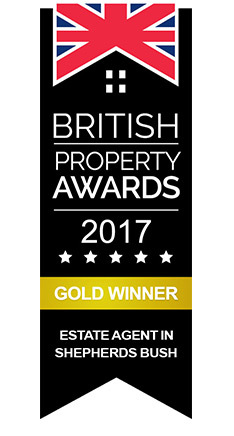 Here at Amber & Co our unparalleled experience means your property is in safe hands with one of the leading estate agents in West London. We understand that as a landlord, you want your property to be rented out as quickly as possible and be able to receive the best possible return. Avoiding empty periods and guaranteed regular income is on every landlords check list. If you don't want the hassle of being in charge of your property and making sure everything is right by the tenants, not to worry, we offer full day-to-day management of all your properties. Letting property has always been an essential component of our organisation since we opened our doors in 1994, we understand all the complexities. We tailor our services to you, not all landlords are the same, we specialise in catering to everyone’s needs whether it is lettings only, rent collection, or full property management. You are not alone when it comes to your property, here at Amber & Co we offer services to Landlords whether they want to only let the property, want us to collect rent, or Fully manage the property. We will fully market your property to make sure it reaches the correct clientele and enough competition to make sure the offer you seek is achieved. -	We have specialists in marketing whose sole purpose is to fully market your property to reach the maximum specified client base for your property. -	We take control of viewings, letting you know 24 hours before when booking appointments. -	Making you aware of every offer which is made & providing you with feedback from viewings. Want us to just find the right tenants and market your property? Want us to just collect the rent without the hassle of doing it yourself?